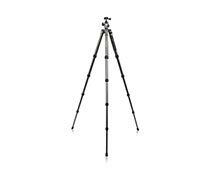 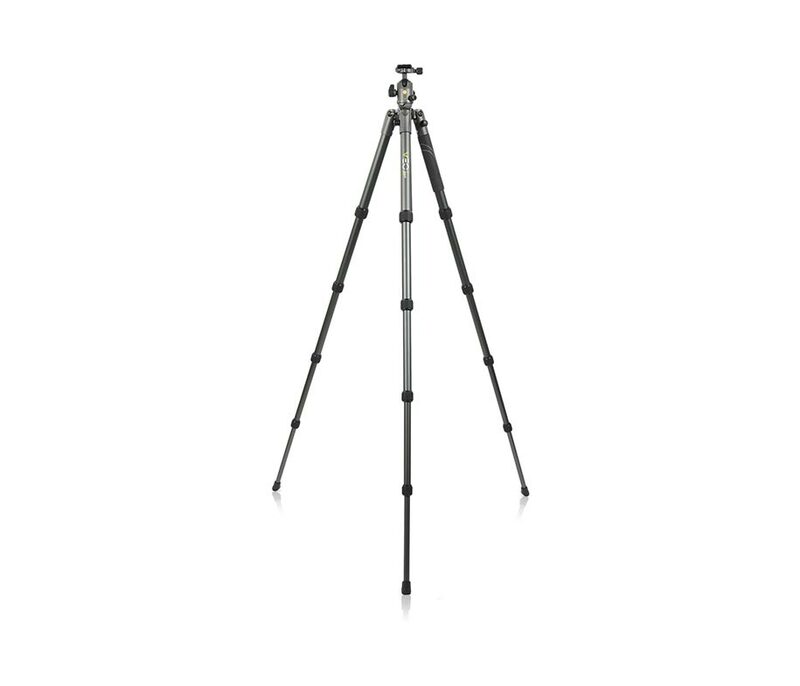 The gray-finished Vanguard VEO 2 265AB Aluminum Tripod with Ball Head combines the VEO 2 265AB aluminum legs with the BH-50 ball head. 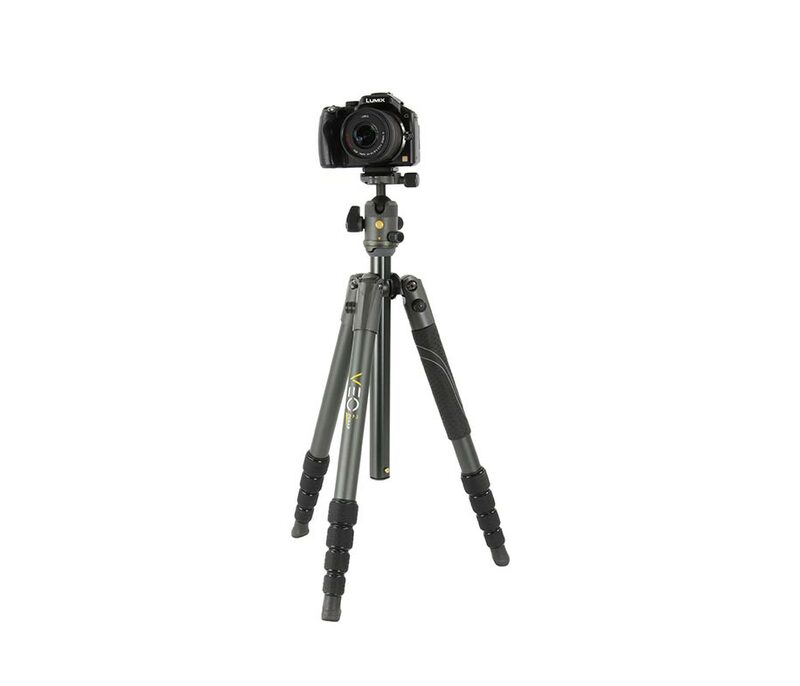 Ideal for travel, wildlife, and studio work, the tripod weighs 3.38 lb, and has an extended load capacity of 17.6 lb for heavy cameras or long lenses. 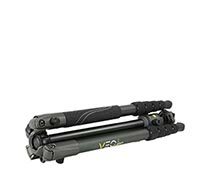 It can rise to 59", and folds down to a compact 16.25". 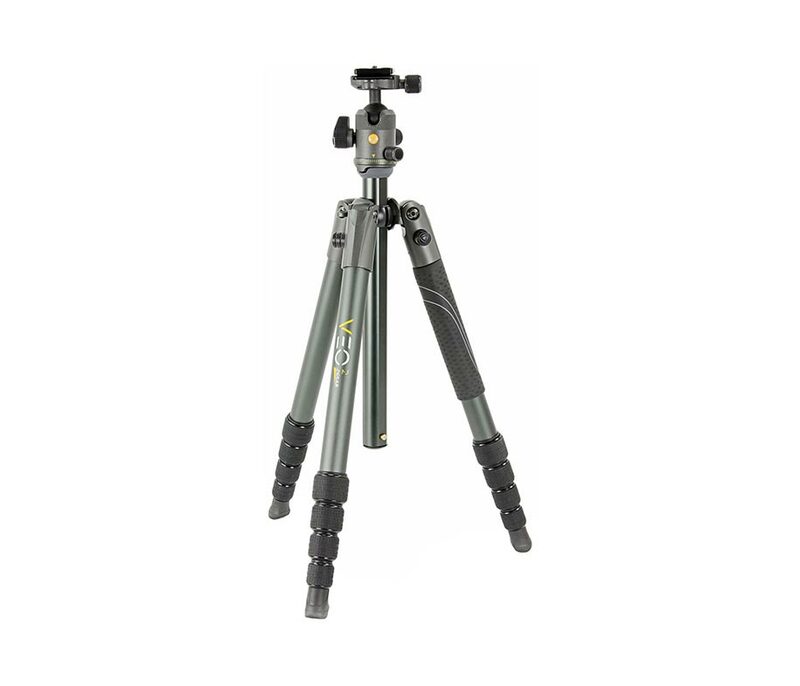 The tripod's 4-section legs feature advanced twist locks that require only 1/4 turn and individual spread in 20degrees, 45degrees, and 80degrees positions for easy setup on uneven terrain or spreading out as low as 7.6" for macro photography. 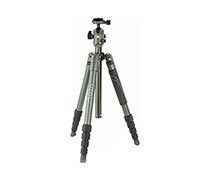 A loop for a counterweight is provided for extra stability. 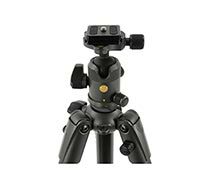 The BH-50 has 3 independent dedicated knobs for locking, panning, and friction control. 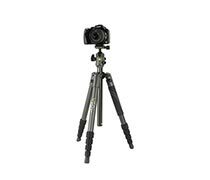 It includes an Arca-type quick release and a compatible camera plate. Independent leg positioning at 3 different angles (20degrees, 45degrees, and 80degrees) for more versatility and possibilities to adapt to uneven terrain enabling you to shoot more creative pictures.